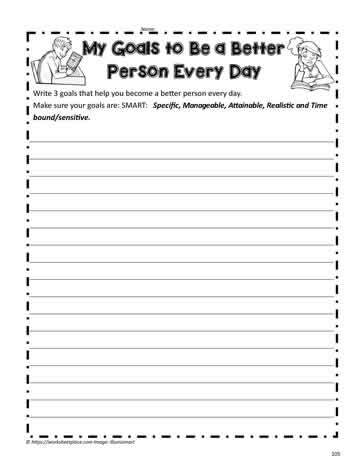 Student activity worksheets for character traits. Students determine what goals they need to become a better person. 4th and 5th grade character education unit.